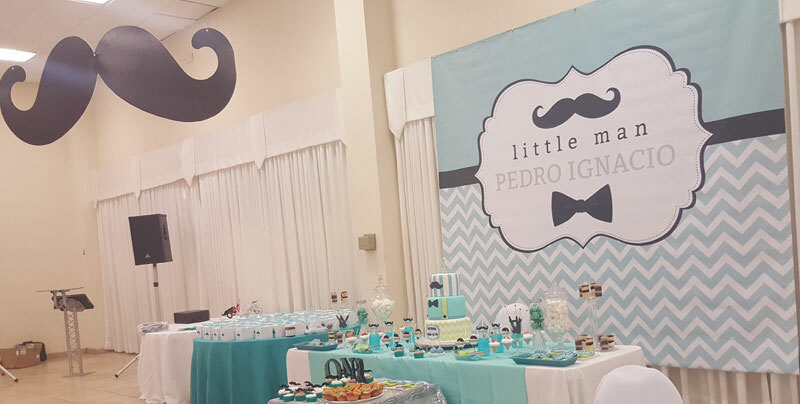 Pedro’s Little Man 1st Birthday Party showcases our Little Man banner design. 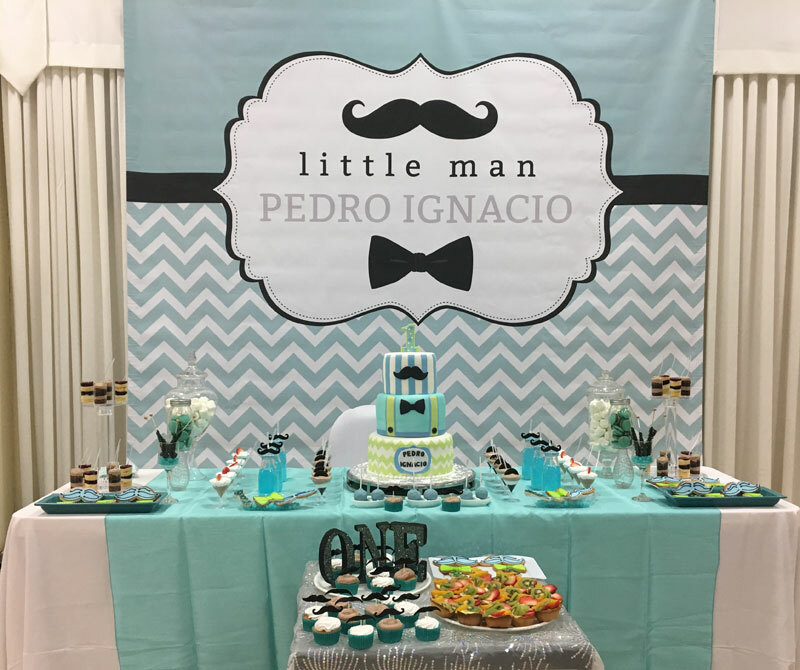 The little man mustache and bow tie 1st birthday cake is adorable with the little pants suspenders. The entire set up looks amazing, some of my favourites are the hanging mustache and all of those incredible desserts.